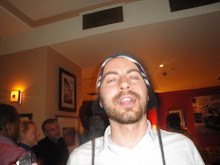 Edmond, a middle aged, middle management office worker, walks out on his wife one night, sick of a loveless marriage, and a chance encounter with a tarot reader send him on a wander into town wanting to spice up his life and basically get laid. After a series of hilariously awkward encounters with creatures of the night, the situation takes a turn for the worst, forcing him to reassess his life philosophy. This film is an oddity for so many reasons. First of all, the idea of Stuart Gordon, master of 80's schlockers such as Reanimator, adapting a David Mamet play is about as likely as Eli Roth adapting Jonathan Franzen. Yet it actually works, the director deft hand for dark humour serving this nightmarish story very well. 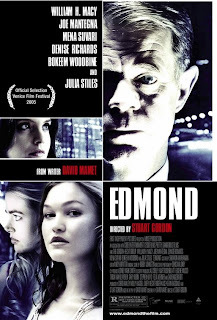 Some of first encounter that Edmond has with some prostitutes/strippers/masseuses (all played by famous faces such as Mena Suvari and Denise Richards) are both hilarious and cringeworthy, with him displaying an almost Forrest Gump-esque naivety. Another odd aspect is the uncertainty in which decade the film is supposed to take place. While his office and house, along with his co-workers and wife look all very contemporary at the start of the film, the minute he steps out downtown, it's like he's being back in the early 80's with some sketchy characters straight out of a Starsky & Hutch episode, and neon lit New York at night looking particularly cutthroat in the way it was before Giuliani cleaned it all up in the 90's (for the better or worse!). Let's not mention some very distinctively un-PC lines which no writers could ever get away with these days! This betrays the origin and the time the played the film is based upon was originally written and makes the film feel dated. 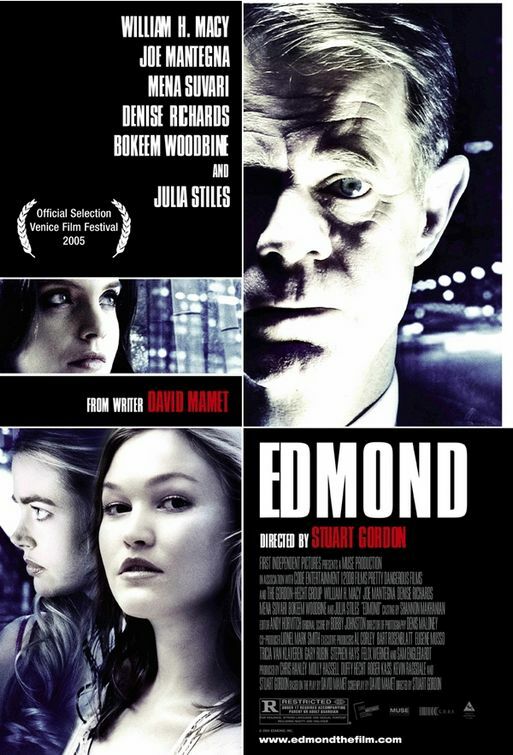 Then again, transposing the story to the 00's would have meant the worst thing that could possibly have happened to Edmond in New York at night would be for his local Starbucks to run out of soya milk.